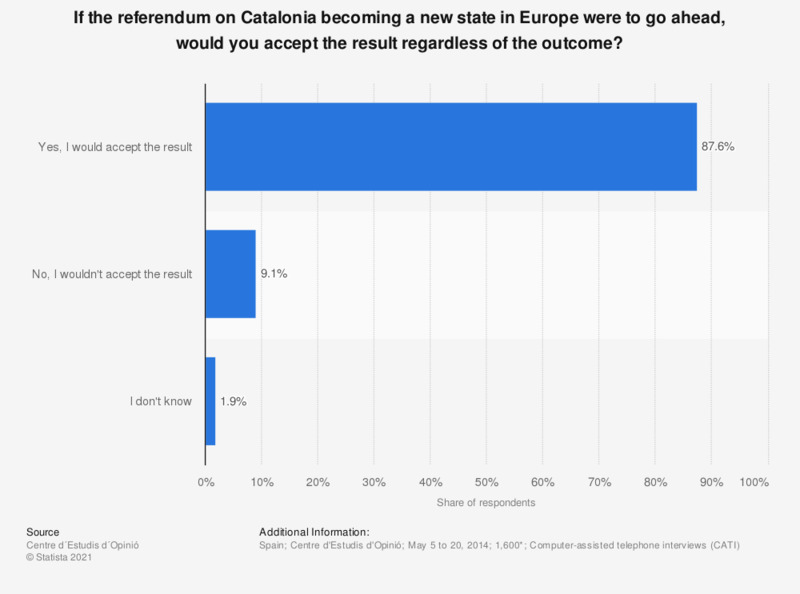 This statistic shows what percentage of Catalans would accept the result of the referendum on Catalonia becoming a new state in Europe regardless of the outcome, according to a survey carried out in May 2014. The vast majority would accept the outcome, both if it means Catalonia remains part of Spain or if it becomes a new state. Only 9.1 percent admitted that they would not accept the result.